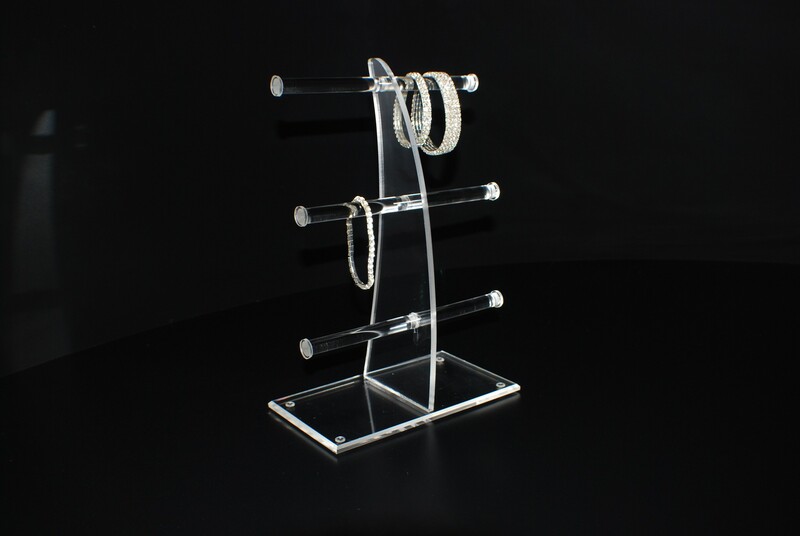 We offer a full range of bangle displays allowing you to showcase multiple bracelets in a contempory style. They are manufactured from 5mm clear acrylic and we offer either 3 tier or 4 tier stands. If you have any questions about bangle acrylic display, please call UK Shopfitttings Ltd FREE on 0800 2707615 and we'll be happy to help.